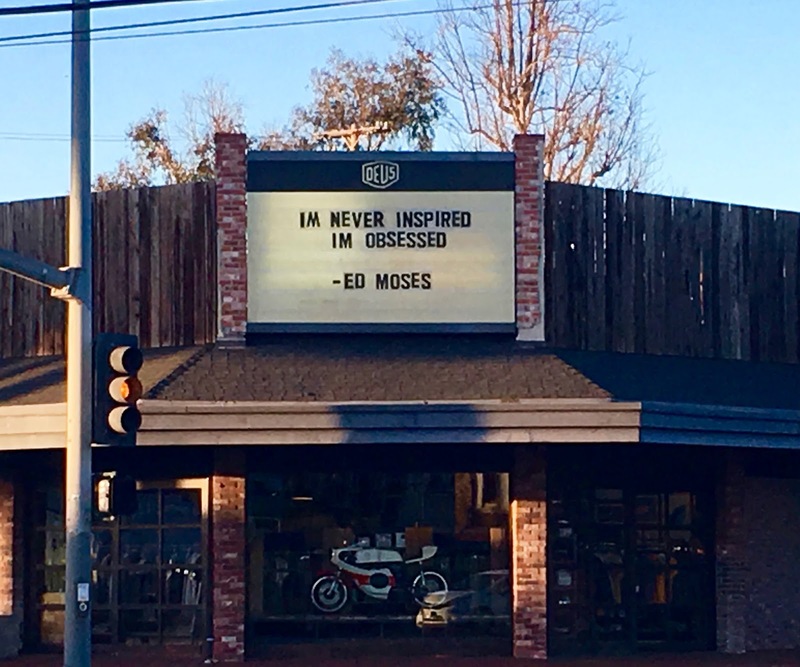 Two days after an opening of new works at the Runway Gallery next to Hal's in Playa Vista, Venice is mourning the loss of legendary artist, Ed Moses. I regret that I missed that opening, and the chance to celebrate this founding member of the "Cool School" of art one more time. There was a massive Moses At 90 retrospective featuring decades of Moses' art a couple of years ago at Bergamot Station that was packed to the rafters, as everyone marveled at how very prolific Moses was, even at 91 years old. The L.A. Times ran a comprehensive article on the life and career of Moses yesterday that will tell you everything you need to know about his history, but all of Venice will miss just seeing him around with that ever-present twinkle in his eye. A notorious flirt, one could always count on Moses for a good bon mot or story. The old Hal's was always good for a Moses sighting, as he held court there often - usually under one of his massive pieces that the main wall was always reserved for. I remember him saying at an anniversary celebration for Hal's at Electric Lodge that "Hal's has B+ food, which I like, because I can always get a table." Everyone cracked up, mainly because Moses would never have a problem getting a table at Hal's - or anywhere. His loss has left a gaping hole in the art world, and in Venice, but the beautiful thing is that his wonderful work will live on forever. Deepest sympathy and love to all who loved Mr. Ed Moses. He was one of a kind.